Last month, the UN Security Council condemned two new launches of North Korea’s Musudan intermediate-range ballistic missile and the head of the International Atomic Energy Agency (IAEA) raised concerns about Pyongyang’s recent activities at a nuclear site. 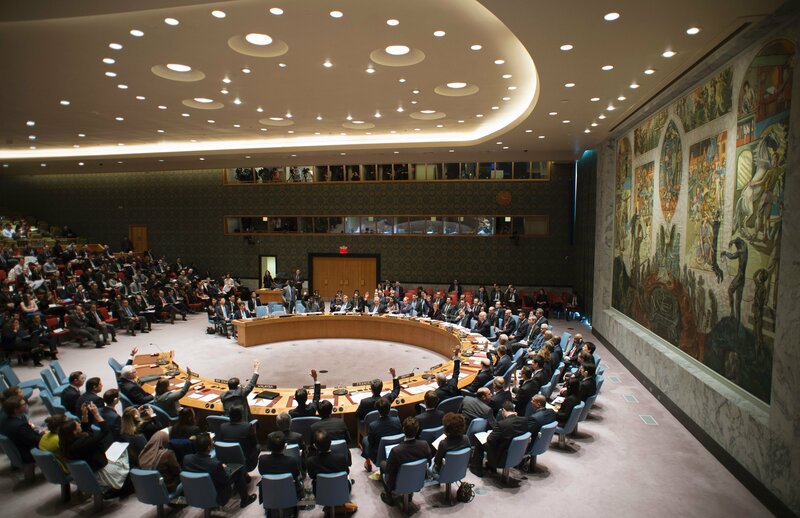 Council president François Delattre of France stated in a press release on June 23 that the Security Council “strongly condemned the most recent ballistic missile launches” by North Korea. The council released the statement after holding an emergency consultation on North Korea on June 22, following the June 21 test of two Musudan missiles. The “repeated launches are in grave violation” of North Korea’s obligations under Security Council resolutions, Delattre said. He expressed the “serious concern” of council members that the tests were conducted “in flagrant disregard of the repeated statements of the Security Council.” Security Council members agreed to “take further significant measures” in response to North Korea’s actions, he said. The two test launches on June 21 were the fifth and sixth tests of the missile system, following previous attempts in April and May 2016. (See ACT, June 2016.) The first four launches of the Musudan were failures. The June launches represent a “partial success” for the development of the Musudan system, according to John Schilling, spacecraft propulsion expert and engineering specialist at The Aerospace Corp. 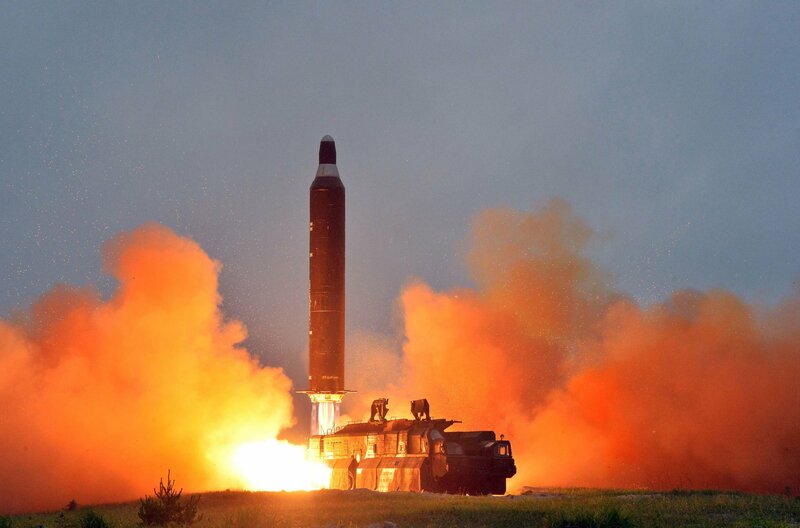 The latest missile test “finally demonstrated the full performance of the missile’s propulsion system, and at least a minimally functional guidance system,” he said in a June 23 analysis for 38 North, an online publication of the U.S.-Korea Institute at Johns Hopkins University. The first missile tested on June 21 exploded midflight after flying 150 kilometers, and the second one achieved a distance of 400 kilometers, according to a June 22 report in the Korea Times citing the South Korean Joint Chiefs of Staff. The missile is believed to have a range of up to 4,000 kilometers. Also in June, the IAEA discussed the resumption of activities at North Korea’s Yongbyon nuclear site. The activity observed by the IAEA indicates that North Korea may have restarted its five-megawatt electrical reactor, expanded enrichment capacity, or resumed reprocessing, IAEA Director-General Yukiya Amano said in a June 6 press conference. The IAEA has not had access to the Yongbyon site since April 2009, but is “monitoring the situation, mainly through satellite imagery.” The IAEA “cannot state for sure” the type of activity at the site without inspectors on the ground, Amano said. The recent activity at the Yongbyon site suggests that North Korea is “preparing to commence or has already begun” reprocessing nuclear material to separate additional plutonium for weapons use, according to analysis by 38 North dated May 31. Satellite imagery shows delivery of supplies to the radiochemical laboratory and exhaust coming from that facility, according to the report. The imagery, however, indicates that the reactor is operating intermittently and at a low level. North Korea had previously shut down the reactor, but restarted it in 2013.